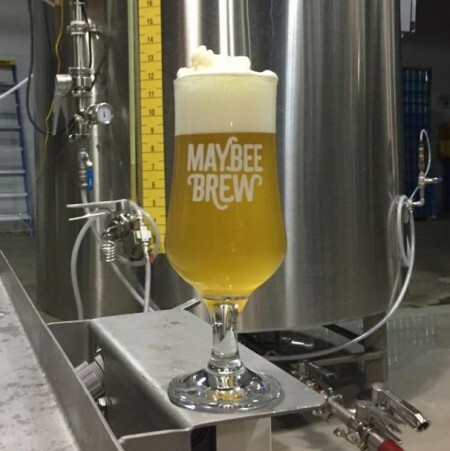 FREDERICTON, NB – Maybee Brew Co. has announced the release of its newest seasonal beer. Pale yellow, with a minimal hop-induced haze. White pillow-like head that barely dissipates. Aroma of bright tropical fruit, herbal/grassy notes, some spice and hint of floral, white wine and honeydew melon. Up front thin body, dry. High carbonation-level effervescence, tropical fruit, herbal and resin notes, minimal spice, bone dry finish, smooth and crisp. Hint of warmth on the finish blends seamlessly with the carbonation and dryness. Brut IPA is available now at Maybee Brew Co. and select tap accounts in New Brunswick, and will be featured in the ANBL growler program beginning next Thursday December 6th. Source & Photo: Maybee Brew Co.